Ostmodels from Tasmania has long been known as a producer of 1/76 resin kits. 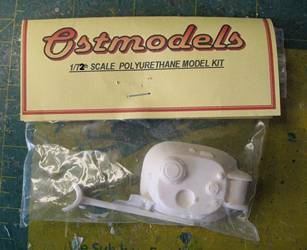 More recently, Ostmodels also started producing some interesting subjects in 1/72. 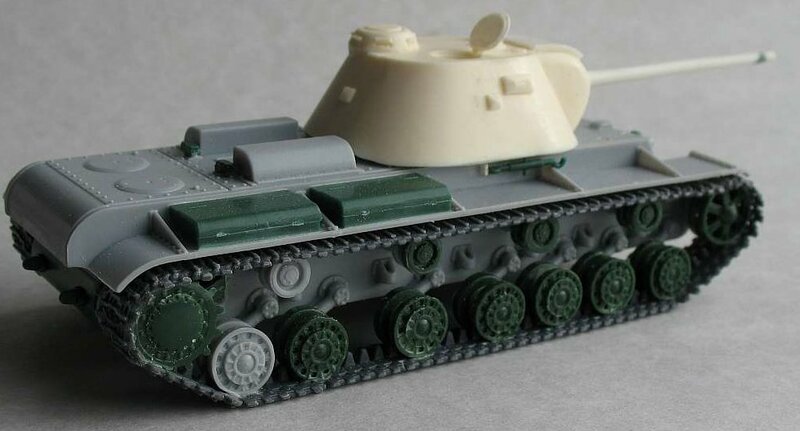 The new KV-3 was fitted with a supercharged version of the V-2 tank engine, straight off the drawing boards. This time it worked, and with strengthened suspension and transmission, the tank had completed 1985km (1233 miles) by 22 June. At this point affairs were interrupted by the German invasion. Within weeks the Kirov factory was threatened and evacuated to Chelyabinsk in the Urals and ordered to focus on producing existing KV-1 types to rebuild the Red Army after the disasters that had occurred at the start of the German invasion. With Leningrad surrounded, the ambitious production plan for the KV-3 heavy tank was curtailed until a new plant could be established in the Tankograd complex in the Urals. With KV-1 production in full swing, KV-3 production finally got under way in early 1942. The first Guards Superior Power Tank Regiments were formed for the planned Summer offensives. Technical problems meant that the few KV-3 tanks available straggled into combat, being easily overrun by the better coordinated Germans. They were withdrawn, reformed, and sent back into action in larger numbers for Operation Uranus, the battle to surround Stalingrad. 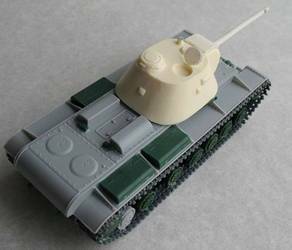 The KV-3 is perhaps the most balanced and powerful heavy tank in existence. It combines an outstanding gun with thick armor and reasonable speed. It is the perfect Tiger killer, yet it entered combat six months before the German Tiger heavy tank. The kit is sealed only in a plastic bag. 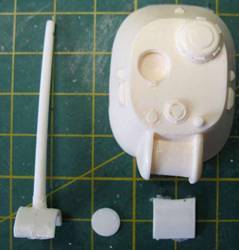 The kit contains only four parts, turret, turret hatch, gun and gunshield. 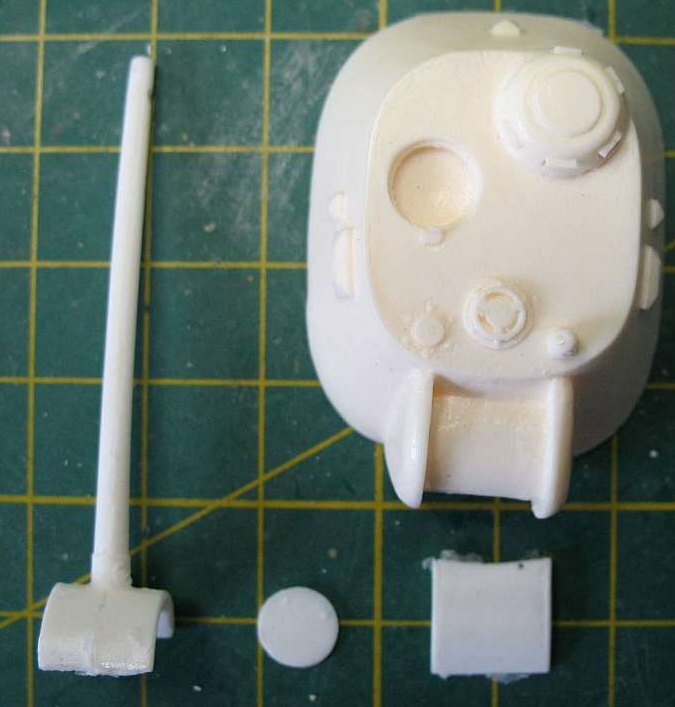 All of the casting blocks are already removed, and only minor sanding is necessary. There are only a few air bubbles and only some flash, which can be easily removed. 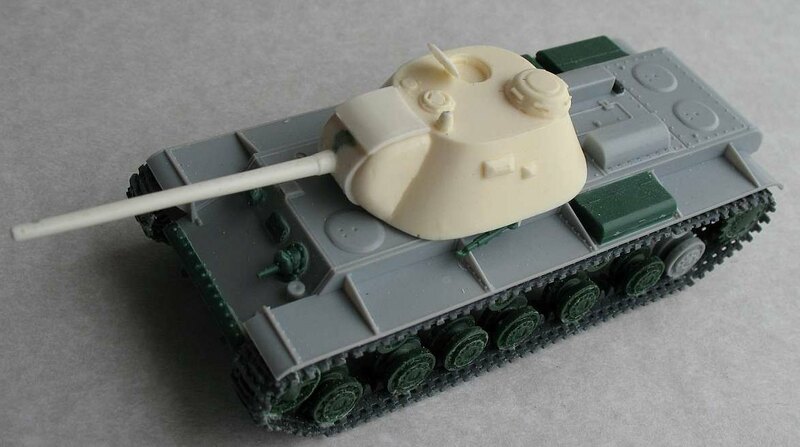 The dimensions are correct for 1/72. 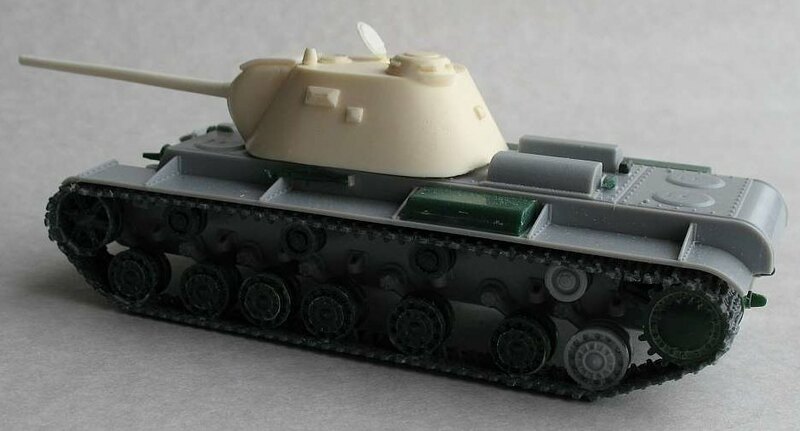 There are no decals, and instructions are reduced to a sheet of paper with a photo of the real tank. You may visit the Henk of Holland website, where you can find helpful images of the assembled kit. Read the notes on the enclosed sheet.